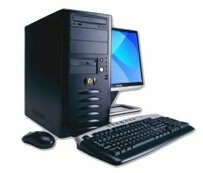 Since 1992, The Launch Pad has been designing and manufacturing PC workstations and servers for businesses. Our PCs are built to specification to meet the needs of your business or family. Quantity discounts are available for both businesses and home users. Our entry level workstations, starting at $399.00 are ideal for the standard business user running office applications, for students and for a myriad of home uses. Our custom configuration center will soon be available online. In the interim, our sales team is happy to assist you with system recommendations, expertise and a proposal designed to meet your specific needs. Please feel free to contact our sales team by phone at 813-205-6131 or e-mail at sales@launchpadonline.com. A custom-tailored quote will be deliverd to you within 24 hours and usually the same day. All Launch Pad systems include a year warranty and are built with Intel processors and custom-designed using the highest quality components. Extended warranties are available. Call us today and within a few days, your personalized system(s) will be delivered to your doorstep. By Purchasing from The Launch Pad, you can be assured that each system we build uses genuine, licensed Microsoft software and certified hardware.